DSCN0648, originally uploaded by trekr. The caterpillars are abundant this Spring. 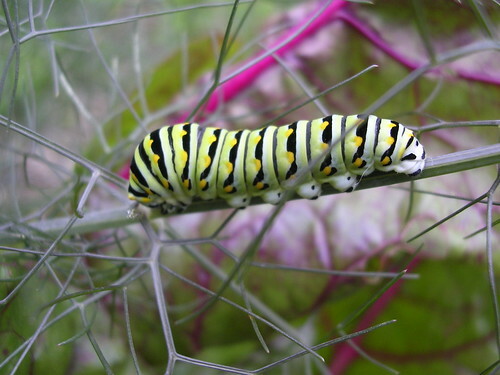 The red veins of the chard contrast the dark green fennel and complement the vibrant colors of the caterpillar. This entry was posted on Monday, May 21st, 2007 at 3:41 pm	and is filed under Garden. You can follow any responses to this entry through the RSS 2.0 feed. You can leave a response, or trackback from your own site.